Curved mouthpiece with slight upward curve and jointed center barrel. The Myler Comfort Snaffle mouthpiece is an excellent alternative to a regular, nutcracker-like snaffle. 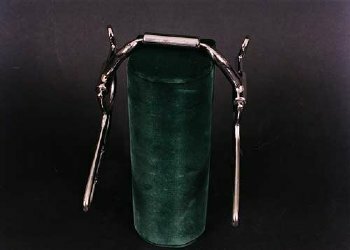 Unlike a regular snaffle, it features independent side movement, allowing a rider to isolate one side and lift the shoulder. Working primarily off the tongue and bars, the Comfort Snaffle is useful for bending and balancing the beginning horse. Offers some tongue relief. Works well on the single horse or in a team for driving. Also available with bushing.